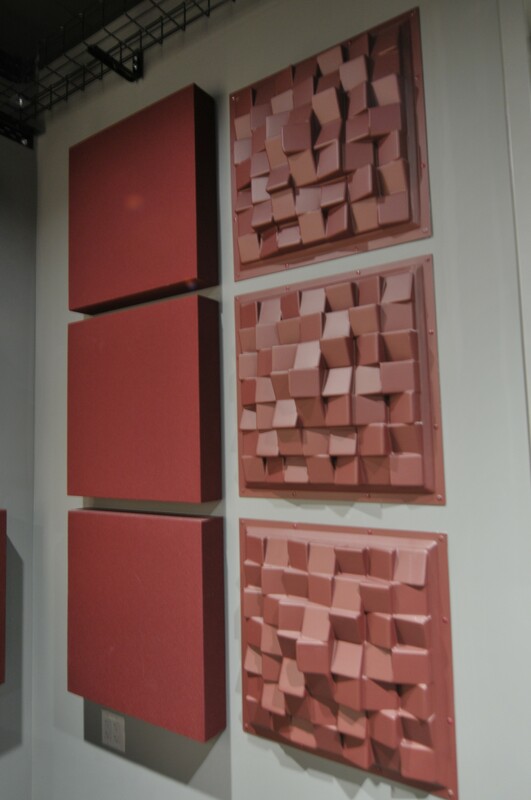 Our confidential client purchased a high-rise building on Market Street and began a full interior remodel for their main point of presence here on the west coast of the U.S. 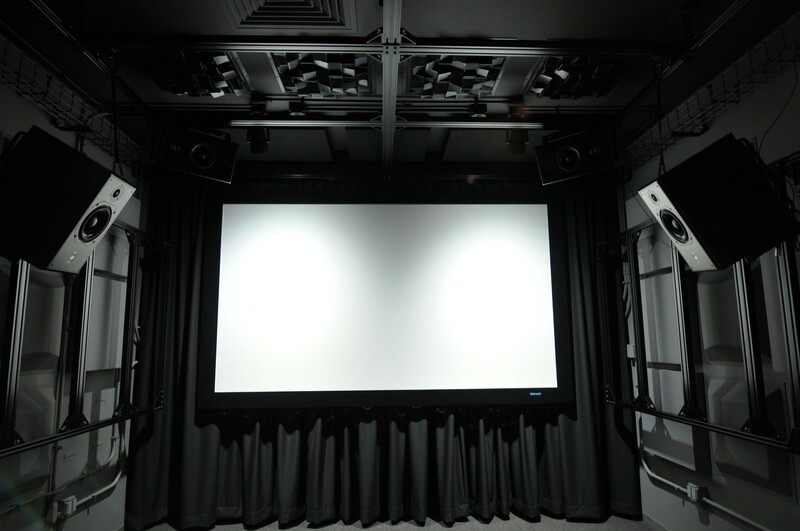 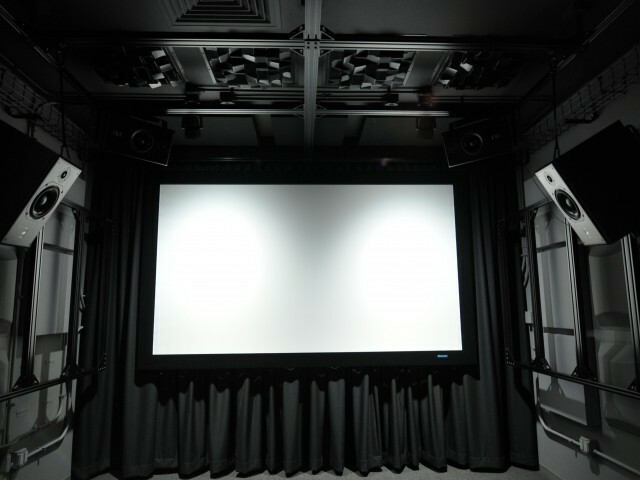 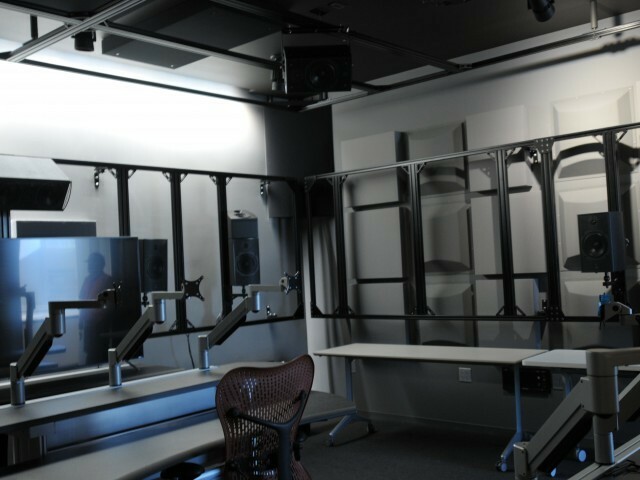 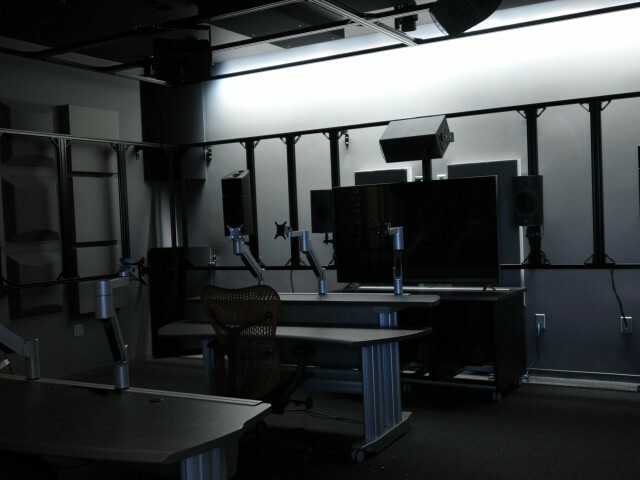 Included in the remodel are 13 sound labs for use by various sound critical enterprises such as the motion picture industry and all types of musical ensembles. 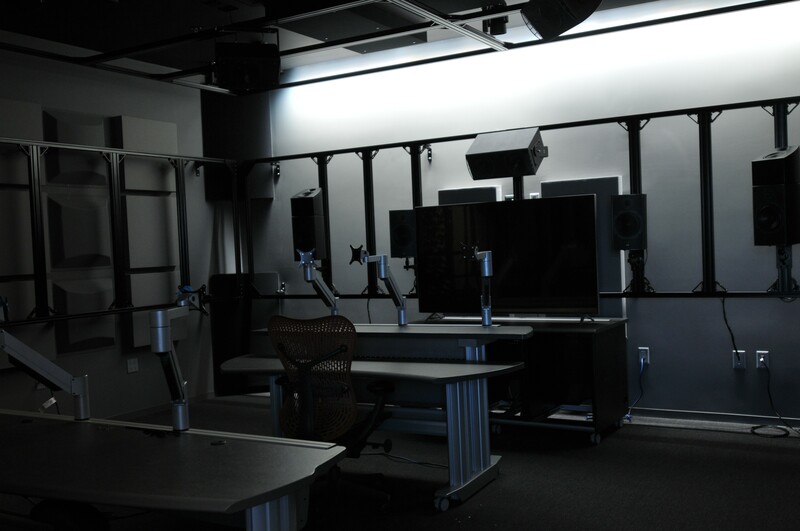 These sound labs are scattered throughout the third through tenth floors of the building. 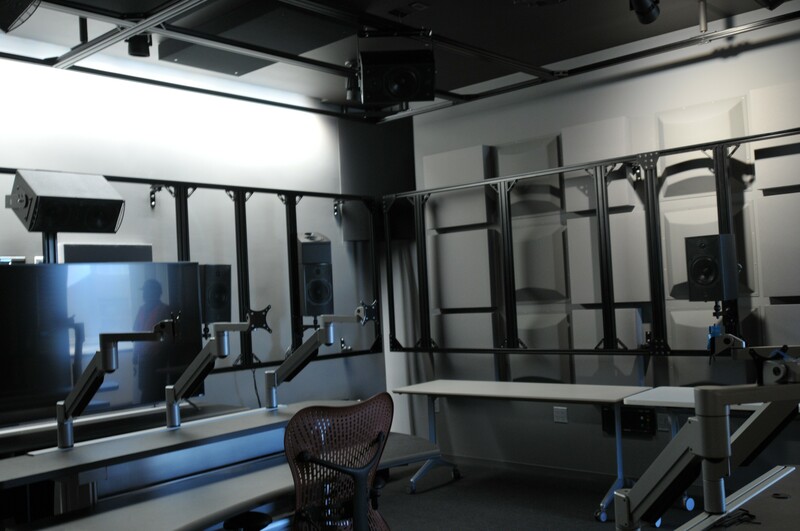  DEB Construction was brought in as an MBE subcontractor to echo proof these labs and to create the “perfect” acoustical environment for top of the line sound needs. 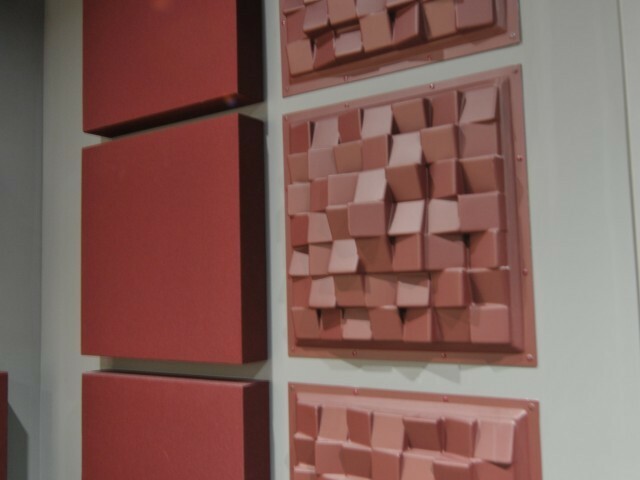 This included installing sound reflective & sound absorption treatments on walls and floors. 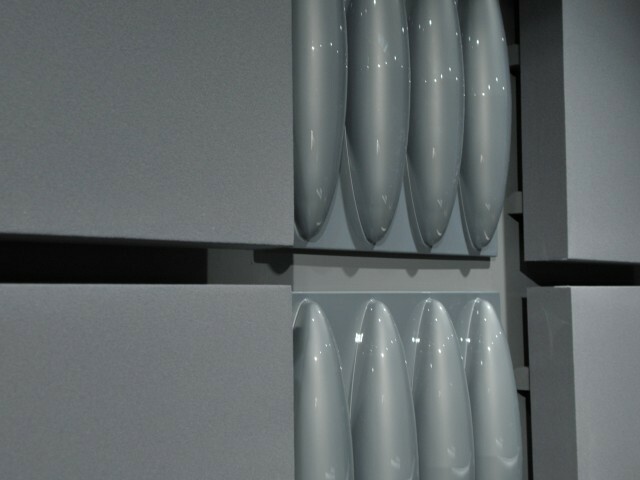 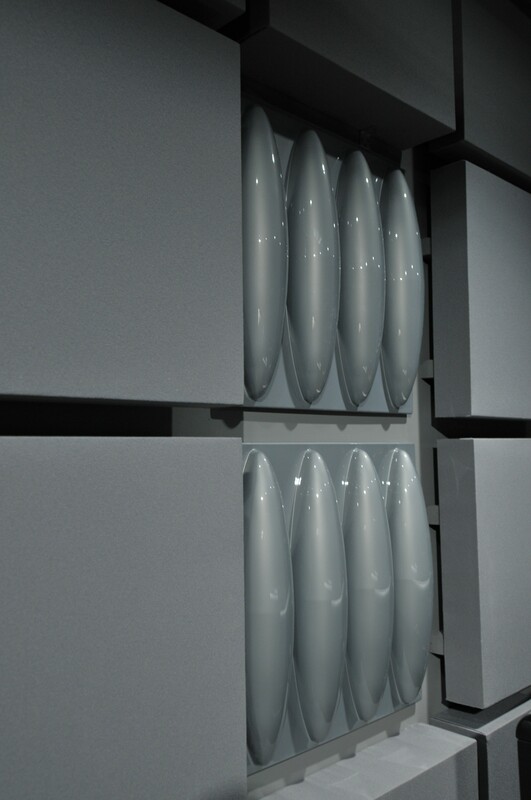 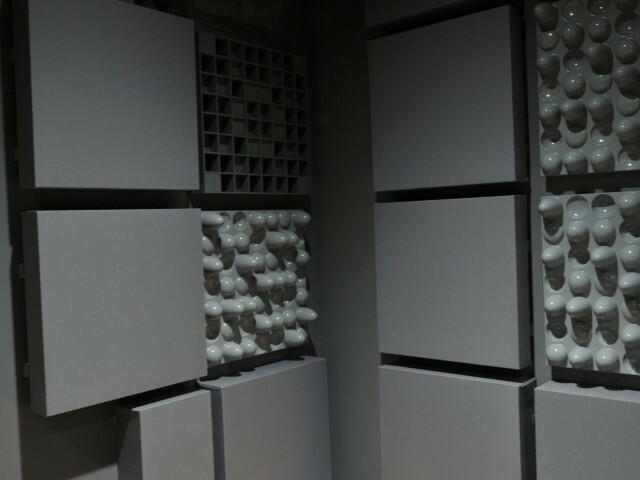 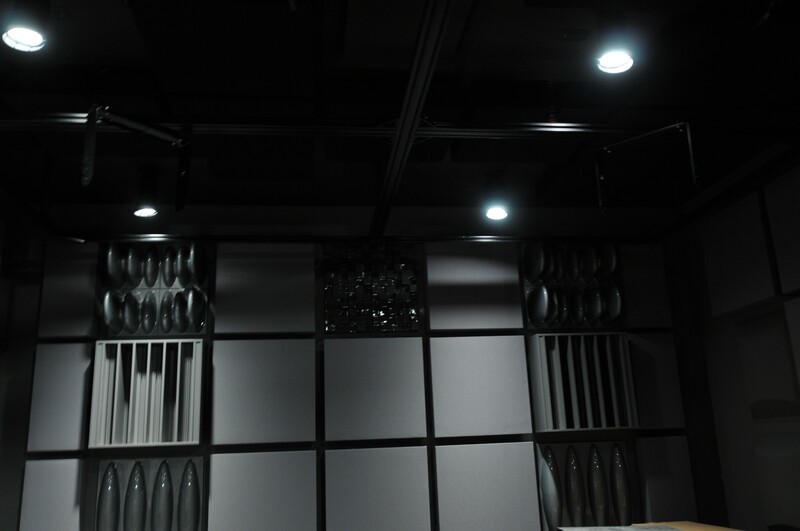 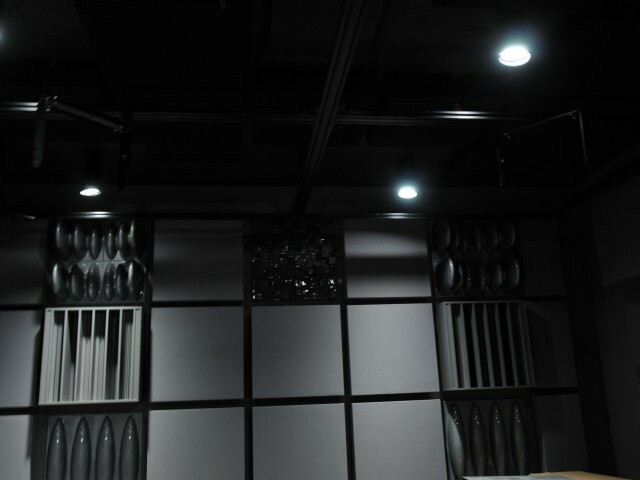 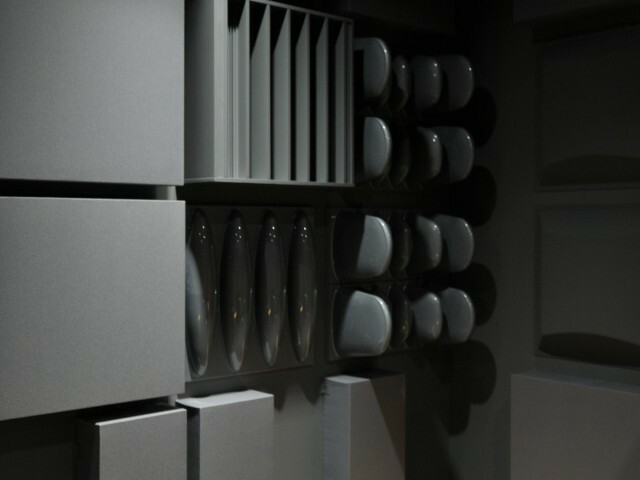 The reflective treatments are designed as multiple rows of domes and cone pyramids mounted on the walls in varying patterns and clusters, floor to ceiling, to achieve just the right environment for sound manipulation. 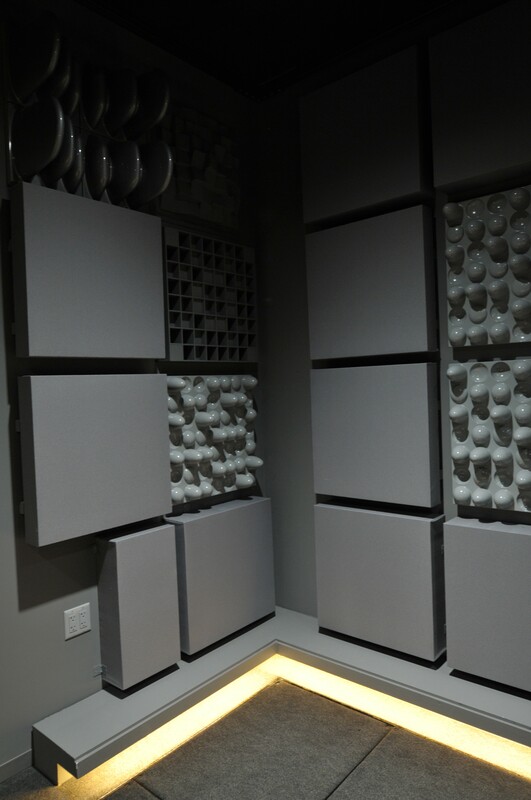 Sound attenuation extended to treating the floors, which were raised 6” and drilled with various sized holes in precisely engineered patterns on the decking and filled with special denim insulation to allow sound to enter and never leave. 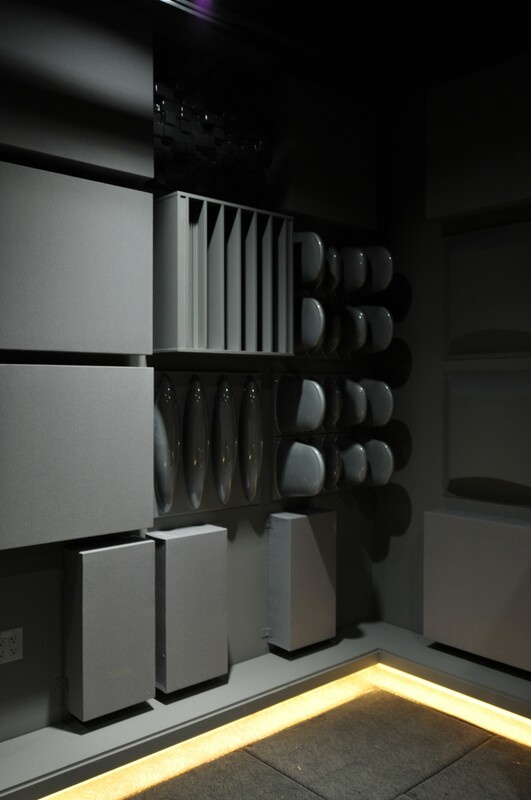 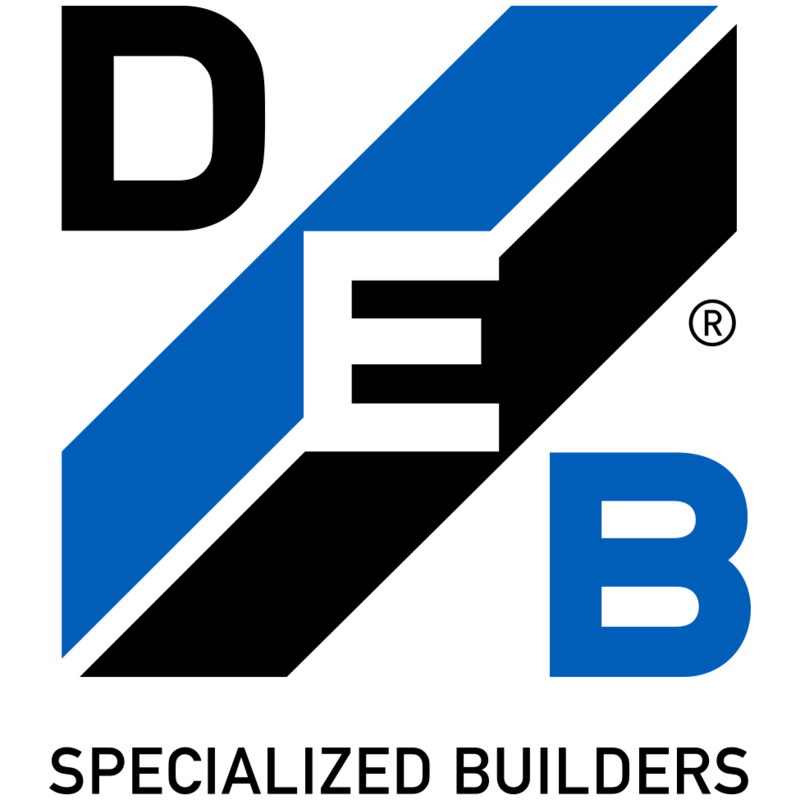 Such a system are called Bass Traps which trap the bass or lower tones so that the user or a sound recorder experiences the tone once and never again and not jumbled bouncing sound waves that confuse the sound component essential to the client that relies on sound as near perfection as is available today in such sound rooms.